I am all for fast and nutritious when it comes to days that are non-stop. Today was no different. It was the first day of March Break and it was go, go, go from the second I opened my eyes and it still hasn’t stopped. I knew how ever that we needed a protein packed dinner to make up for the lunch we forgot to eat. Woops! For this dish I like to buy the fast fry beef so all I have to do is slice it in strips which makes for quick prep. I also don’t eat red meat so I fry that beef in a separate pan from the veggies. Once the dish is almost done I transfer some of the veggie mixture to the cooked beef and mix well then everyone is happy. This stir-fry is fast, delicious, high in protein and done in less than half an hour. Also, if you prefer the vegetarian version but want more “umpf” try adding chunky bits of portobello mushroom or soy sauce marinated tofu. Only 6 Weight Watchers points and a whopping 26g of protein. In wok or large deep skillet, heat oil over medium-high heat. Add beef, ginger and garlic; stir-fry for 3 minutes or until beef is browned. 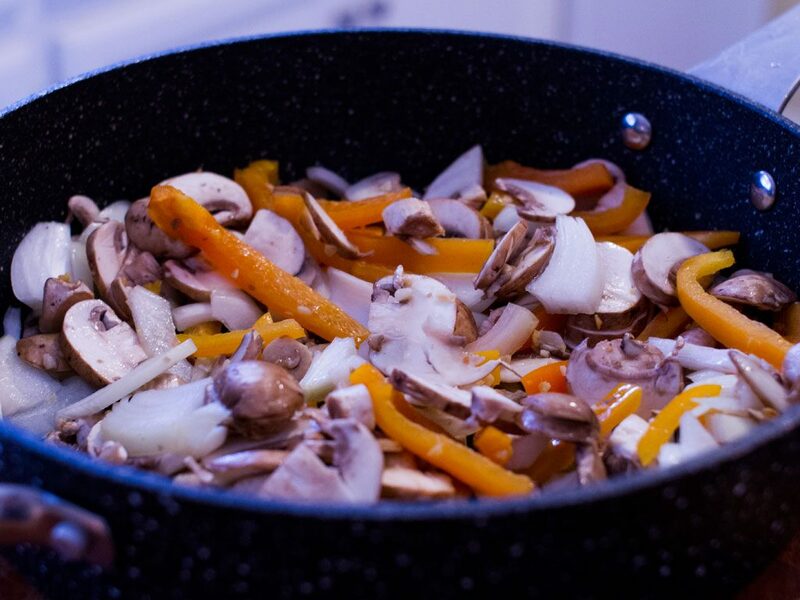 Add red and orange peppers, onions and mushrooms; stir-fry until tender-crisp about 3 minutes. Add broth and soy sauce; bring to a simmer. Cover and steam for 1 minute. In small bowl, combine cornstarch and water; stir into meat and vegetable mixture. Cook stirring, for 1 minute or until sauce is thickened. 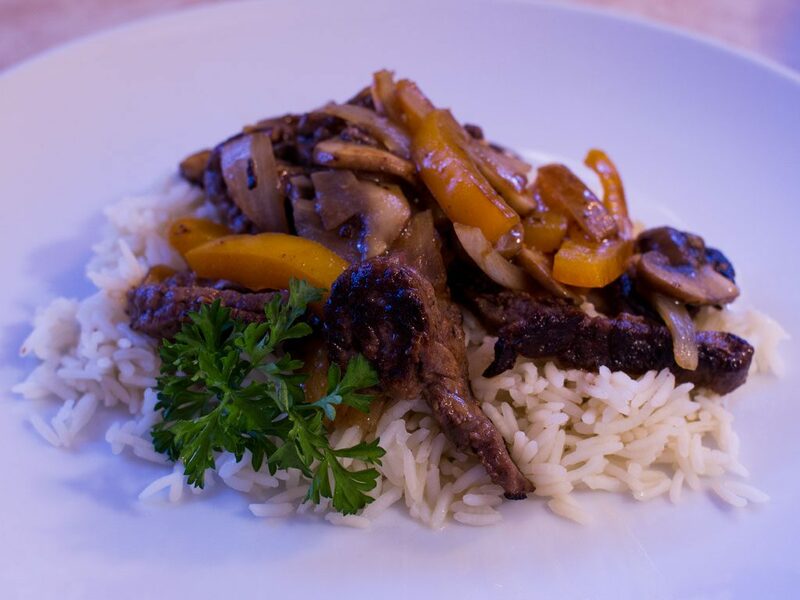 Serve over cooked rice or noodles.